Cover to the left: Artist Maxida Märak photographed by Camilla Åkrans and styling by Robert Rydberg. 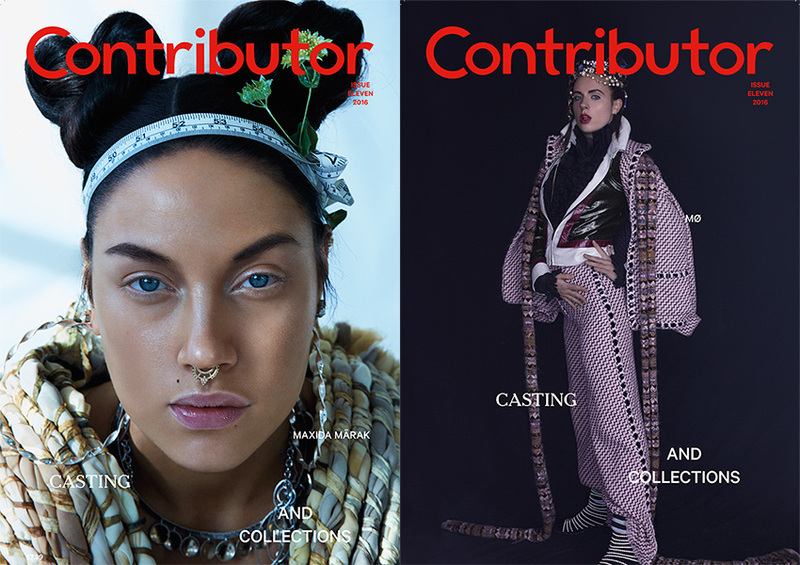 Cover to the right: Artist MØ photographed by Magnus Magnusson and fashion by Robert Rydberg. Maxida Märak photographed by Camilla Åkrans and styling by Robert Rydberg. 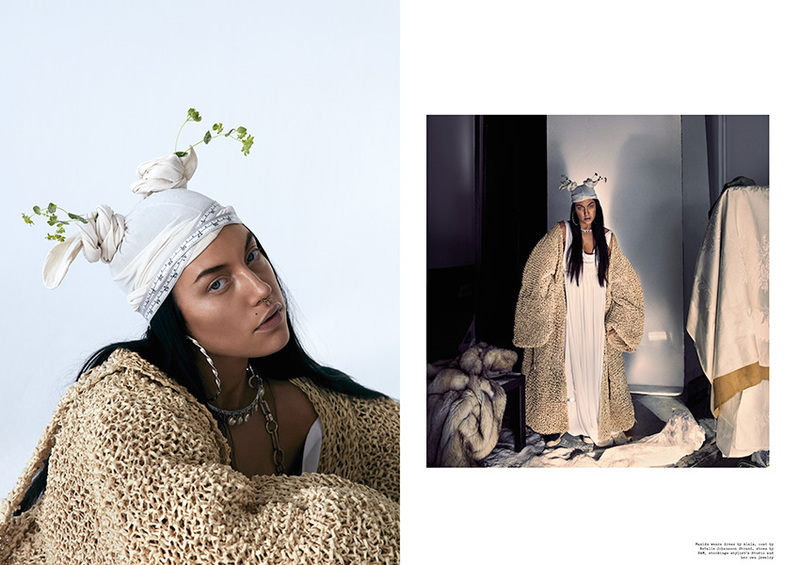 Artist MØ photographed by Magnus Magnusson and fashion by Robert Rydberg. 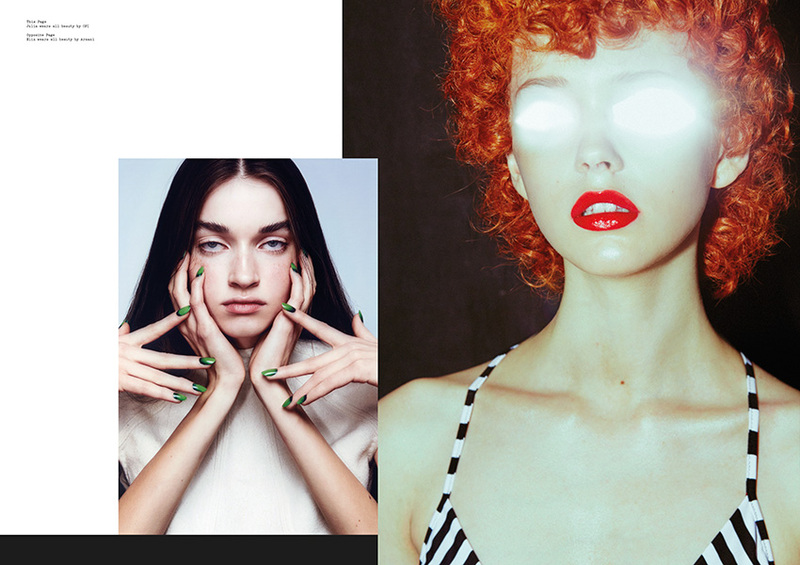 I´ve Seen That Face Before: Photography by Zac Handley and fashion by Stefanie Miano. 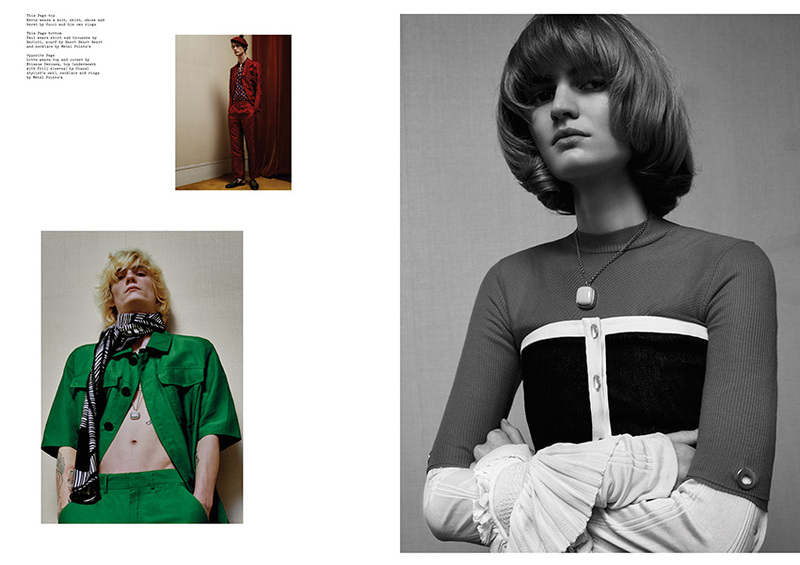 Where We Lay: Photography by Jasmin Storch and fashion by Christopher Insulander. The Beauty Cat: Photography by Johnny Kangasniemi, beauty by Ignacio Alonso and styling by Maria Barsum. 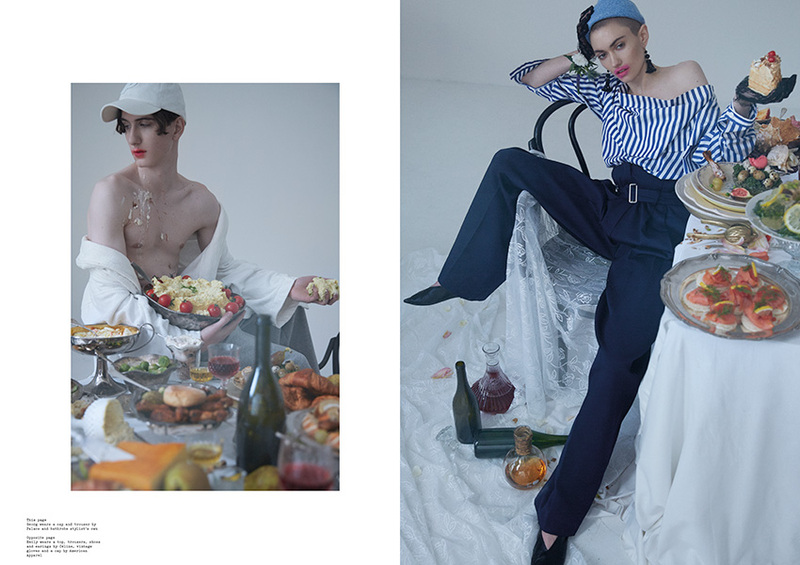 There’s always a dinner party somewhere: photography by Magnus Magnusson and fashion by Robert Rydberg. The theme that runs through our latest print issue is CASTING AND COLLECTIONS. Both are central concepts in fashion. The mechanism behind changes in fashion can be compared to a kaleidoscope. Unreliable pieces of clothing are always in flight, ready to become something else. The key to taking hold of these fleeting moments is usually to look at a designer’s handiwork in detail from collection to collection, since clothing derives its consistency from its role as part of a series. Other paths to finding a narrative in fashion are through styling or photography. Patterns seen through the fashion kaleidoscope can, however, easily be freed of their current meaning. After giving it a few violent shakes, they can go from being interpreted as frivolous to provocative and offensive, by rearranging the compositions and shaping themselves into different meanings.